We picked up our first Pineywoods beef from the locker last week. It looked really good, with nice color appearing very, very lean, as you would expect grassfed beef to be. But in the interest of science, we thought we would compare it to some beef bought in the grocery store to see if we could really tell a difference, or if it was just in our minds. 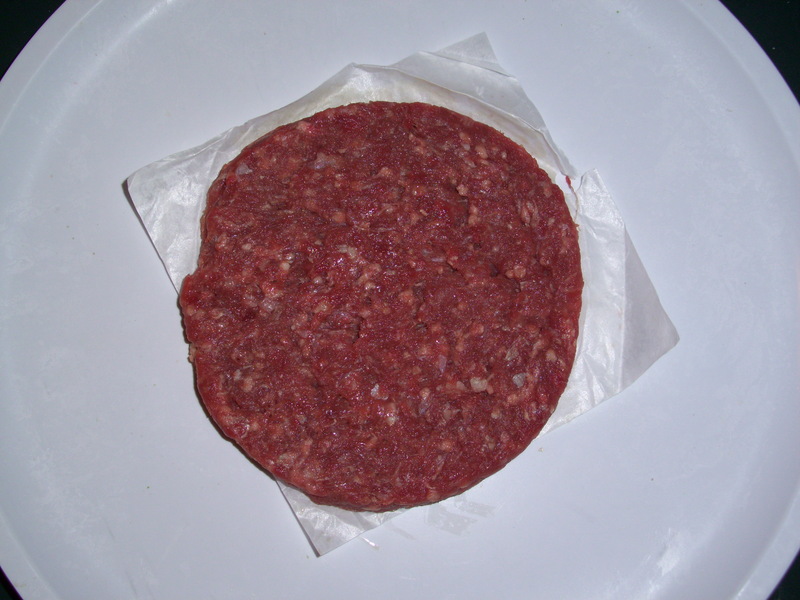 We scanned the grocery store meat aisle, and found a package of comparably sized patties. 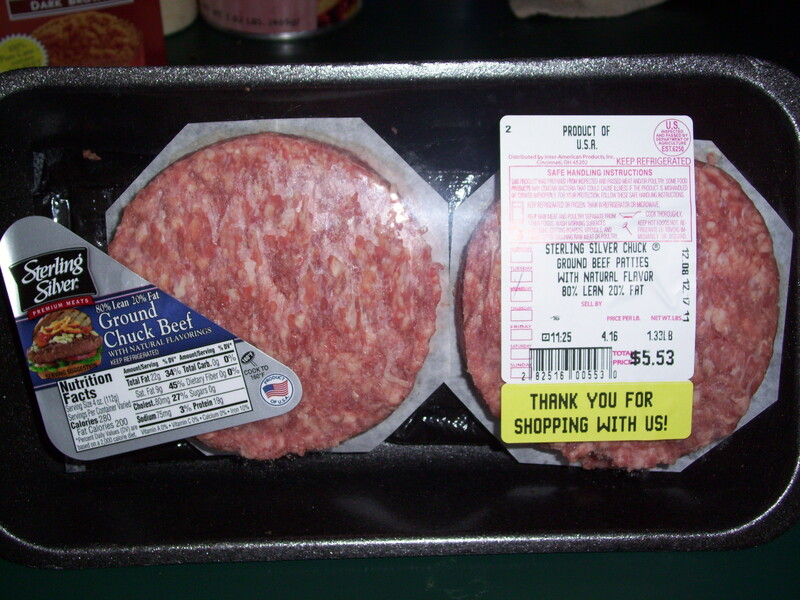 These were ground chuck, but the interesting thing was in the same bin were two packages with COOL (country of origin labeling) one from the USA, the other from the USA, Canada, and Mexico. Hmmm. Needless to say for comparisons sake, we chose the more “local” patties. We cooked both sets of patties in the cast iron skillet under the same heat. The store bought patties were quite a bit thicker and took longer to cook, which wouldn’t have been too much of an issue, but dang, they smoked the heck out of my kitchen! I was waiting for the smoke detector to go off. The store bought patties were still pretty lean, so I have no clue where all that smoke came from, but it was pretty nasty. The Pineywoods patties were thinner, and cooked in about half the time, and absolutely no smoke. 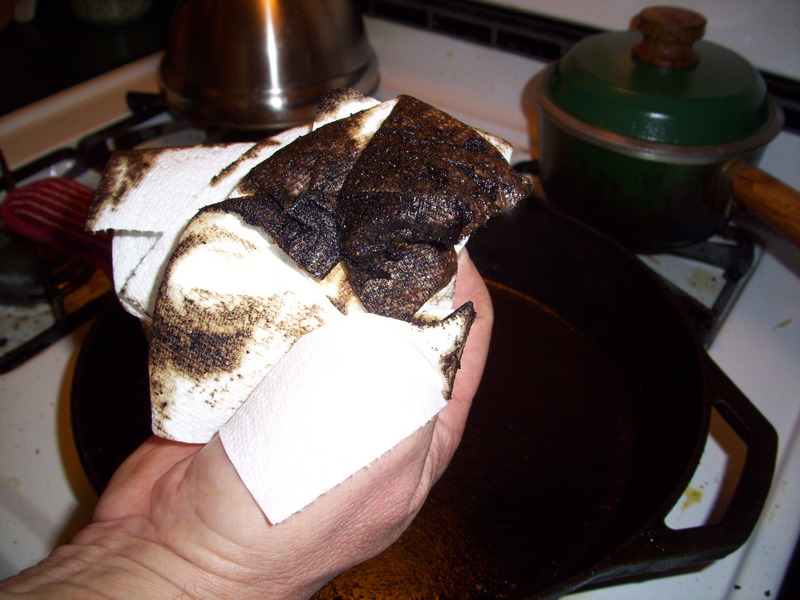 There was also no grease left in the skillet. Side by side, guess which one is the Pineywoods? So then it was time to taste them. We cooked these both with no seasoning at all, just to get a good flavor of what the meat actually tasted like. I’m not a professional food critic, so my vocabulary isn’t the greatest, but the only way t0 describe it was that the store bought patties tasted really washed out. There was also a kind of aftertaste that while it wasn’t awful, just wasn’t pleasant. The Pineywoods, on the other hand, tasted very clean and fresh, and had a really nice meat flavor. There was a marked difference in the patty shrinkage, also. 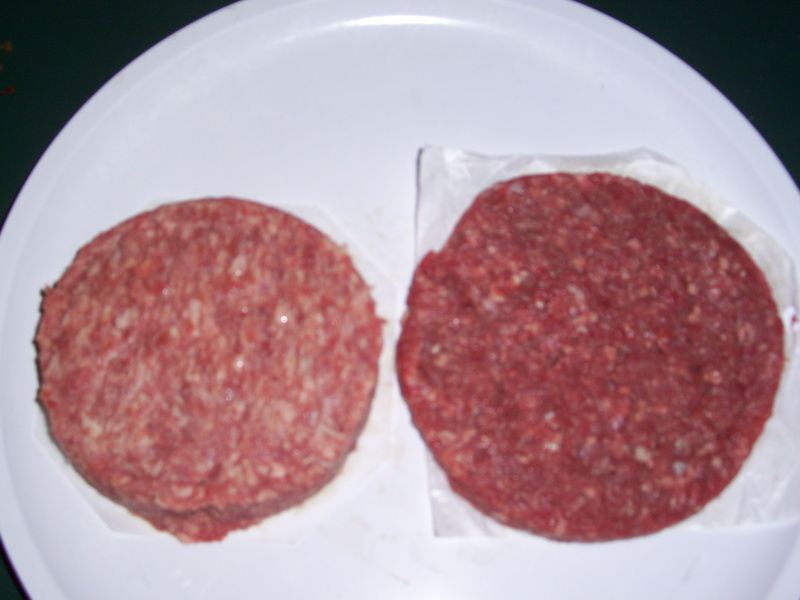 The store patties weighed 5.2 oz before cooking and 3.2 oz after cooking. 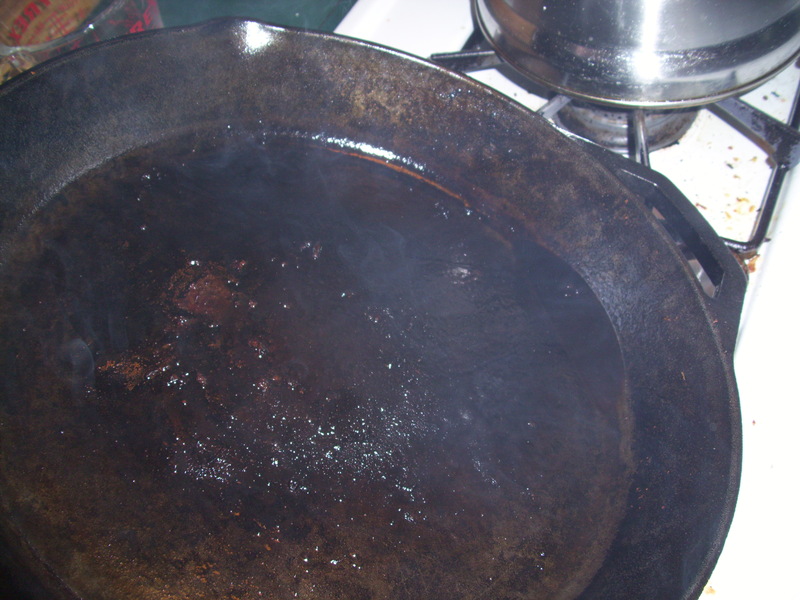 There didn’t seem to be that much grease in the skillet though, so one oz must have gone up in smoke. The Pineywoods patties weighed 4 oz before cooking and 3 oz afterwards. So the total weight of both cooked patties was the same, there was just less lost to…well, smoke. And I’m pretty sure nobody wants to pay for smoke. 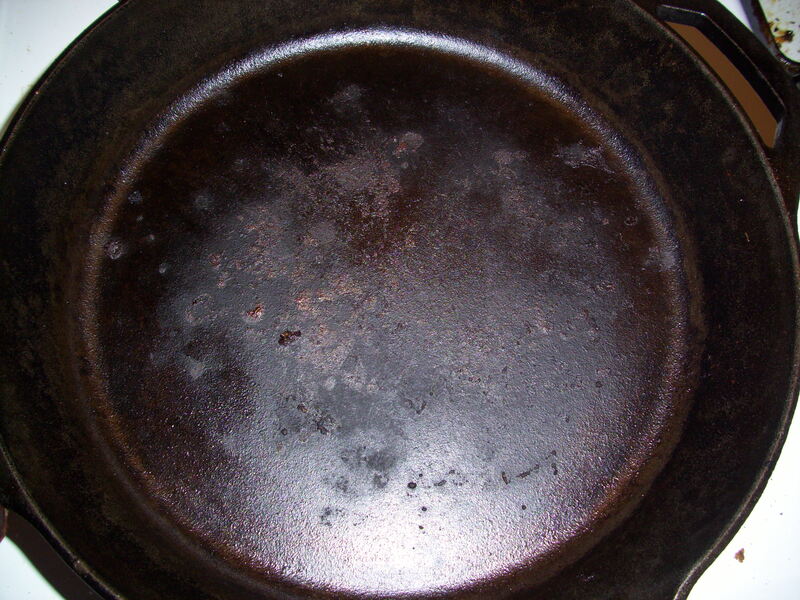 Skillet after store bought patty. 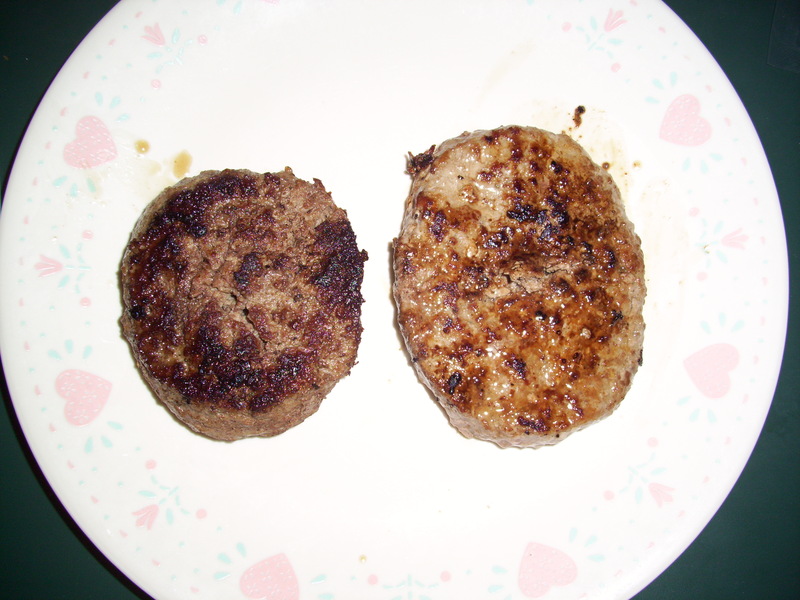 We cooked the rest of the patties of both species, with a little salt and pepper, and again while seasoning improved the store patties, it really didn’t cover the washed out taste. 1. In the unlikely event we buy store beef again, Eric is not allowed to cook it inside. Period. Um...Ew! Thats on my curtains now! 2. There is indeed a favorable difference in both flavor and leanness in grassfed Pineywoods beef. Can’t wait to try the T-bones! Go Pineywoods! Welcome to From the Range, a blog about our adventures on the prairie, raising cattle, horses, sheep, chickens and...rabbits? This entry was posted in Uncategorized and tagged aftertaste, cast iron skillet, cooking, eating well, food for thought, livestock, Pineywoods cattle, steakburger, store meat. Bookmark the permalink.